First and foremost, let me have a second to fangirl about that cover. Ehem… Now that that is done, let’s proceed to the actual review. 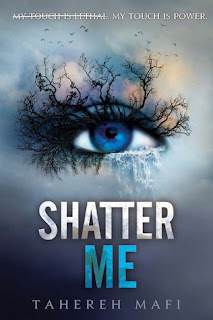 Shatter Me is the story of Juliette, a girl that thanks to her lethal touch she has spent the last 264 days confined in a mental asylum during which time she hasn’t touched another human being, the last time she did it cost someone’s life. Locked up alone and forgotten, Juliette spends her time in a very fragile state of mind. That is, of course until the day when she gets a new roommate. Despite her fears Juliette finds herself able to trust her new friend Adam, and when the sector leader Warner seeks her out to use as a weapon it will be Juliette’s time to decide whether she wants to remain fragile or fight back. Before I started this book I wasn’t really sure what to think about it. 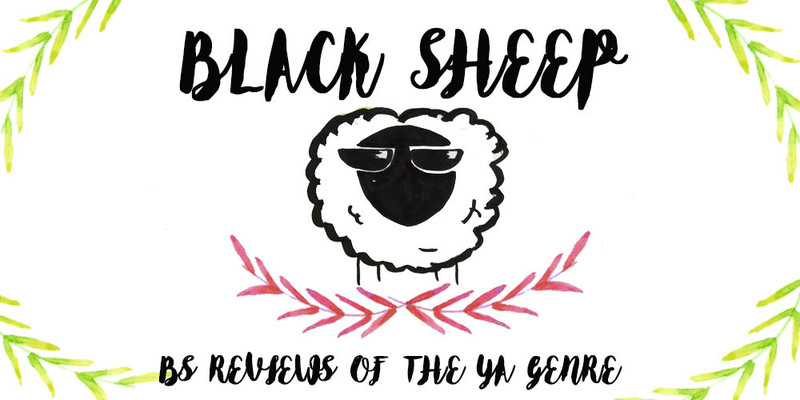 I had heard a lot of comments about the writing style (I’ll get on to that later) the characters and also a few spoilers; so I dug in rather reluctantly and I was pleasantly surprised! Mafi has a very distinctive style, and I can tell you now it’s a love-it-or-hate-it. In order to portray Julliete’s fragile mental state the author uses many metaphors, repetitions and even scratched out words or phrases that represents mostly Juliette’s honest thoughts to which she doesn’t want to admit. For me it was weird at first. There were sentences and descriptions that were wonderful and that could move me like the one above. That were kind of weird. But eventually I got to love it for its weirdness and uniqueness. As a main character, Juliette was an odd one but I guess everything about this novel is odd. After spending so long trapped inside a cell, her thoughts and personality had been racked until there was only a shelf of a life left. Juliette was dependant, weak, insecure, all traits fitting what she went through. She would pass out every now and then for reasons that seemed innocuous to us, she would blush and stammer every page or so, but it made sense. This girl has been through hell. There is insta-love in this novel yes but, her relationship with Adam, although it is really fast (and I’m not a fan of the “I have always loved you”) it makes sense in between the narrative. I mean, Juliette has been locked up for over a year, and she has been a monster pretty much her entire life. She never had someone who loved her, her parents told her she was lucky they didn’t kill her, and so finding someone who cares about her and wants to help her is something so new and Juliette is so desperate she will do anything to cling to that bit of hope. Luckily Adam is a good guy, he cares for her but even at the end of the book Juliette is still rather fragile, she is not a person just yet, she needs to grow and be loved to learn who she is. Shatter me is an intense roller coaster, and I can’t assure you whether you’ll love it or hate it, but you’ll surely remember it. The writing style is just something you have to get used to...I think It gets much better as the series progresses. Great review!